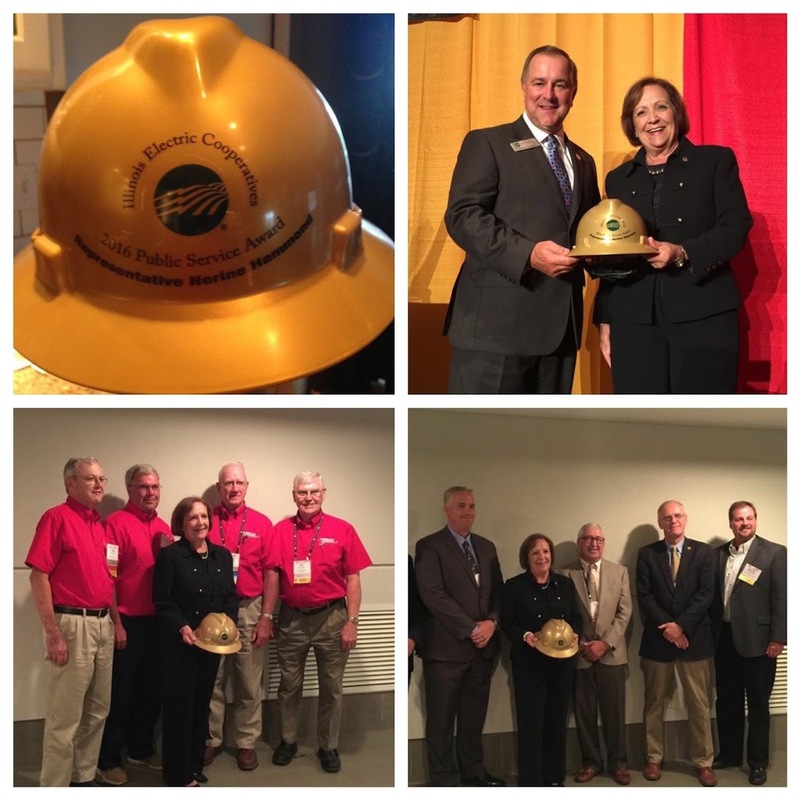 At the Association of Illinois Electric Cooperatives’ annual meeting in Springfield on July 28, State Representative Norine Hammond (R- Macomb, 93rd House District) received the 2016 Illinois Electric Cooperatives Public Service Award. The award was made in recognition of Rep. Hammond’s dedicated public service to all citizens of the state of Illinois and for outstanding contributions to the rural electrification program. Prior to becoming state representative, she served on the Macomb Planning Commission and held positions of Township Trustee and Township Supervisor. Hammond has served in the Illinois House since 2010. She currently serves on the Consumer Protection; Higher Education; Higher Education Appropriations; Community College Access & Affordability; Human Services; Insurance; and Transportation committees. 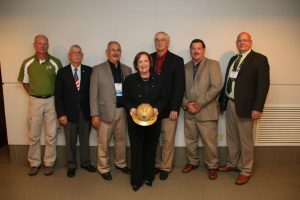 The 93rd District includes the service territory of Adams Electric Cooperative, Illinois Electric Cooperative, Menard Electric Cooperative, McDonough Power Cooperative, Spoon River Electric Cooperative, and Western Illinois Electrical Coop. 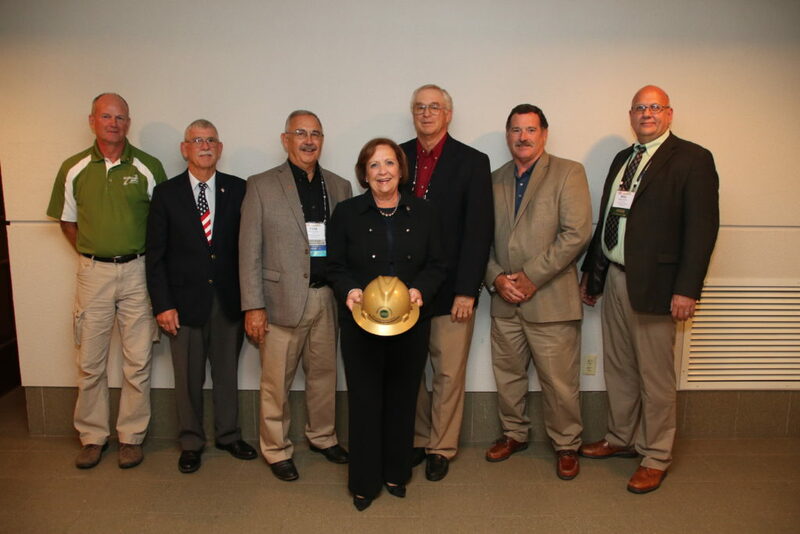 Among those presenting the 2016 Illinois Electric Cooperatives’ Public Service Award to Rep. Norine Hammond were leaders from McDonough Power Cooperative (l-r) Jeff Moore, Jerry Riggins, Steve Lynn, Hammond, Steve Hall, Michael Cox and Mike Smith.